Here is a small collection of material added to the archives in no particular order, but related in the Hermetic sense in general. The subject of this paper is the relationship between alchemy and prophecy in the Latin culture of the period between the initial diffusion of alchemy in the West in the 12th century and the 14th century. This is a preliminary survey, which provides the necessary background for a better understanding of the so-called 'explosion' of the kind of prophetic and visionary alchemy that took place in the 15th century. Alchemy, which is knowledge of hidden things and an art of transformation toward perfection, is here tentatively interpreted and analysed as a form of 'concrete prophecy'. Dan Merkur, Spiritual Alchemy in King Lear, Theosophical History, A Quarterly Journal of Research, Vol.8, No.10, Oct. 2002, pp.274-289. The “sacred craft” was a secret craft. The goddess Isis instructs her son Horus: “Keep it a great secret [megalomusterion].” The initiated were forbidden to divulge their knowledge; they could pass it on only to their “legitimate sons” and to those who were “worthy.” Alchemy, known through revelation, remained a privilege of the few, and the taboo of disclosure, well guarded through the ages, in an impressive example of traditio mystica, a very Hermetic feature. The lore of the craft. David Hopkins, ‘Max Ernst’s La toilette de la mariée’, Burlington Magazine, 133, no. 1057 (April 1991), 237-44. 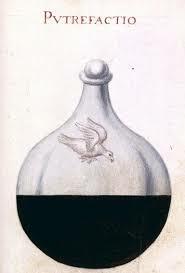 It seems as if the entire Alchemical Studies of C.G. 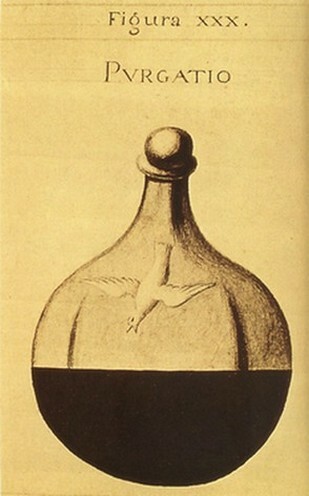 Jung has been uploaded [HERE] and a reasonable overview ALCHEMICAL STUDIES @ WIKIPEDIA. This paper shall examine methods of both knowing the self and knowing the structure of the natural world through images of the garden in several alchemical manuscripts belonging to Early Modern antiquarian and scientist Elias Ashmole. In connecting the images of moths, flowers, and greenery in Bod MS Ash 1423 (a recipe book), to those of fruits in Ashmole’s Tradescantian material, and finally to the images of plants, trees, and their creaturely inhabitants in the Ripley Scrolls, this essay will explore how the Pre-Lapsarian garden-space was allegorised in Early Modern images. Like the Johns Tradescant, John Evelyn, and Hugh Plat, the alchemist in Early Modern England sought the recovery of the Hesperidean paradise on earth through study and experimentation. Images of the garden, this essay suggests, functioned to allow both alchemists and other natural scientists to think through both the macrocosmic order of the world, and the microcosmic structure of matter. Through seeing the garden as a laboratory, and the laboratory as a garden, Ashmole’s alchemical images in turn provoke a broader reading of nature itself as a ‘Book of the World’. The essay shall connect the garden as a physical space to the garden as an alchemical pictorial metaphor in order to explore related modes of knowing in Early Modern science. David Frankfurter, The Magic of Writing and the Writing of Magic: The Power of the Word in Egyptian and Greek Traditions, Helios, vol.21, no.2, 1994. 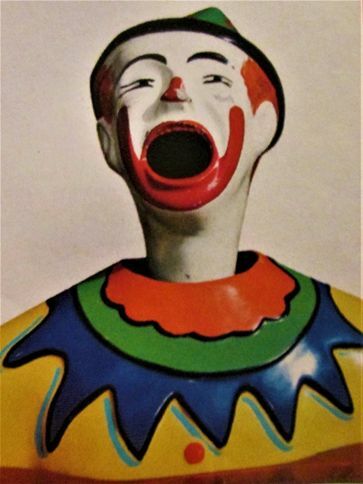 The saturnine "night of lead" in which the body falls prey to dissolution and putrefaction, is indicated here by the gaping mouth. "Within lead there dwells a shameless demon who drives men to madness". Dream. I am trapped in a cult centre, somewhere in the country. Everyone is dressed in blue. There are various activities, in a variety of spaces. I cannot recall the details. But we find a sunken area, in a back yard, fenced in, where there is a way of escape. Beneath a bank of stone and earth, there is an exit, but when we descend some steps, and move to the left, the exit turns out to be a drain, or storm-water pipe. Wide enough to crawl on all fours, it presents a black hole, without even the slightest sign of a pinprick of light at the other end. It is a black circle, a yantra. I think that even if I, or we did crawl into it - there was the danger of a flood, or water being released while we were in the pipe. The next day, I was looking at the image of Saturn, with his mouth in a black circle - like one of the rubber felatio dolls, seen in the window of Amsterdam - and I thought, yes, that hole, is a Saturn yantra - a nigredo, a black bindu, that I have to enter, eventually. "I turn backwards to unholy, unspeakable, mysterious night. Far off lies the world - sunk within a deep grave - (…) In dewdrops I would sink and mingle with ashes." "Looking from afar, I saw a great cloud that cast a black shadow over the whole earth, absorbing it, which covered my soul, and because the waters had reached it (the soul) they became rotten and corrupt from the vision of the lowest hell and of the shadow of death, for the Flood drowned me. Then the Ethiopians will fall down before me, and my enemies will lick my earth." Here, we place a most wonderful image from the Sapientia veterum philosophorum, manuscript, 18th century. "O happy gate of blackness, cries the sage, which art the passage to this so glorious change." Scholia to "The Golden Treatise of Hermes, " quoted in Attwood, Hermetic Philosophy and Alchemy, pp. 126f. [From Edinger, Anatomy, p. 149. Essentialy, these examples show the deep connections between Saturn and the NIGREDO of PLUTO, ARCANUM 22. All you have to do is click LIKE. Feel free to contact me personally: EMAIL HERE.